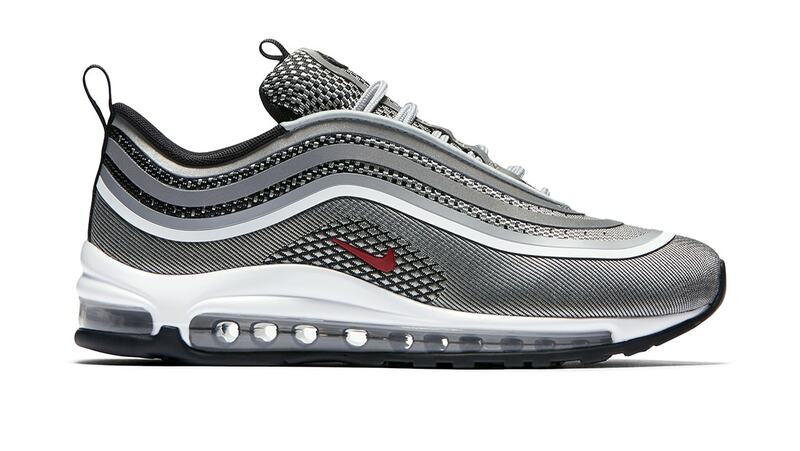 Nike Women's Nike Air Max 97 Ultra "Silver Bullet"
Women's Nike Air Max 97 Ultra "Silver Bullet"
The classic Air Max 97 receives a modern update with breathable materials of mesh and knit. It features the same classic wavy lines inspired by Japanese bullet trains. Release date is August 5, 2017 at a retail price of $160.